A burlap table runner for Easter is the perfect way to celebrate the holiday. This easy to make version will be a delightful addition to your table. Just add some felt, hot glue, and pom poms to a strip of burlap. Follow the simple step by step instructions below. This post is sponsored by Elmers however all projects and opinions are my own. 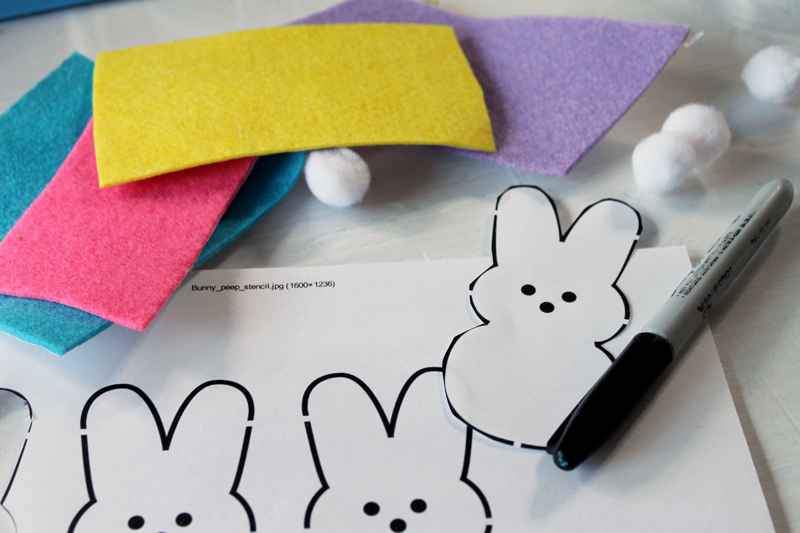 Cut a bunny from the printed page. Be sure to print the page onto a full size sheet of paper. 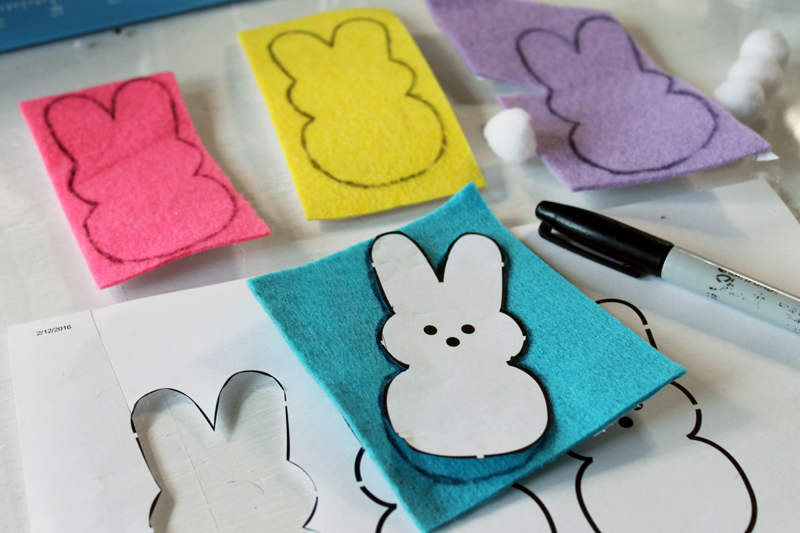 Trace with a marker onto four different colors of felt. I love using scraps for these type of projects! 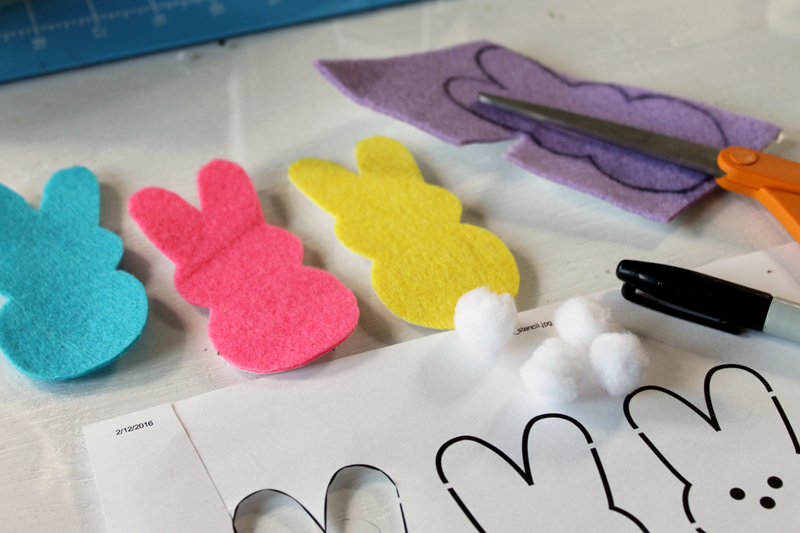 Cut out the bunnies from the felt with scissors. Be sure to cut inside the marker lines. Place your burlap runner onto a non-stick mat or wax paper. The hot glue will leak through the burlap some and you don’t want it on your table. 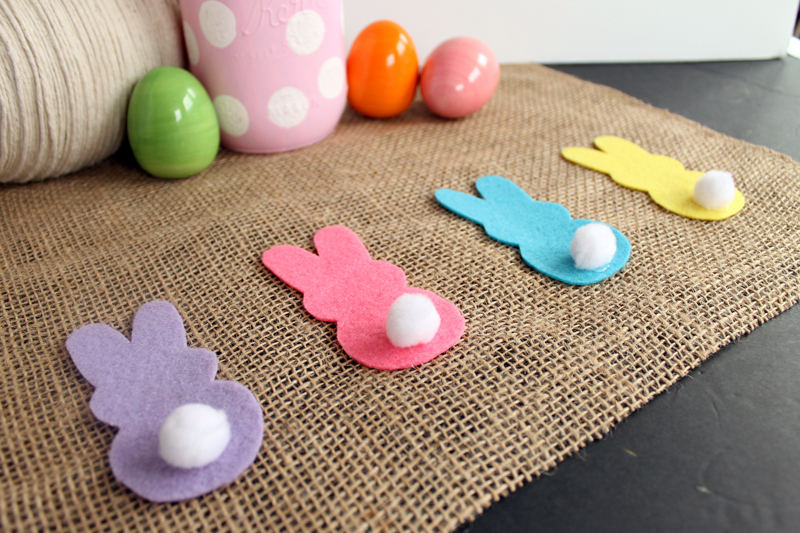 Position the bunnies onto the burlap how you would like them to be. Before we use the hot glue, can I talk a minute about the new line of hot glue from Elmers? It is a less mess hot glue so y’all….say good bye to glue strings! This really does take care of the majority of those pesky strings. So be sure to pick up the glue sticks here online or at a store near you. No more picking at your projects to remove those strings! 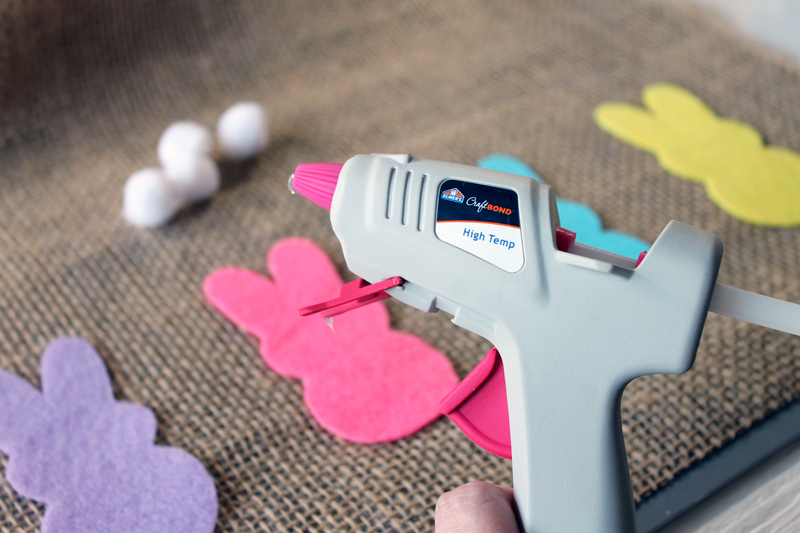 Use the hot glue to secure the bunnies and the pom poms into place on the runner. Lift immediately from the non-stick surface. Allow to dry before setting on any other surfaces. Enjoy your burlap table runner at your Easter table! This cute runner will be the talk of the holiday! I won’t tell them how easy it was to make if you don’t! 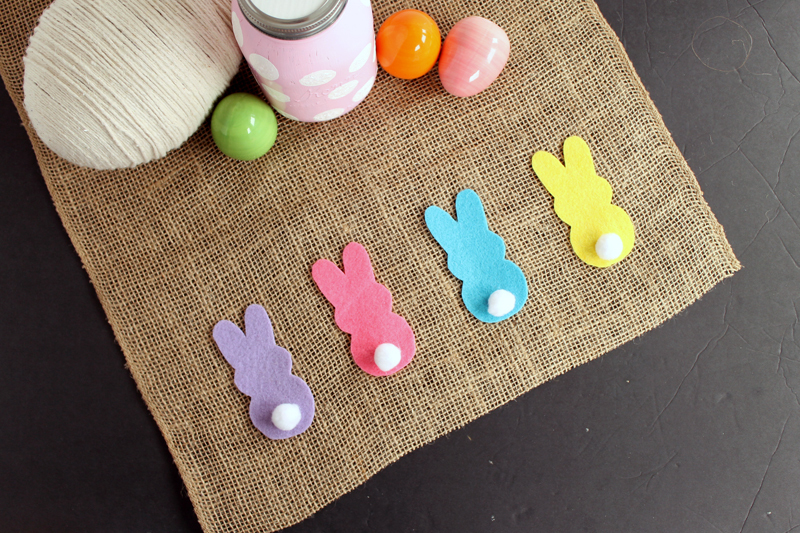 You can also get instructions for making that mason jar here or that twine wrapped egg here. 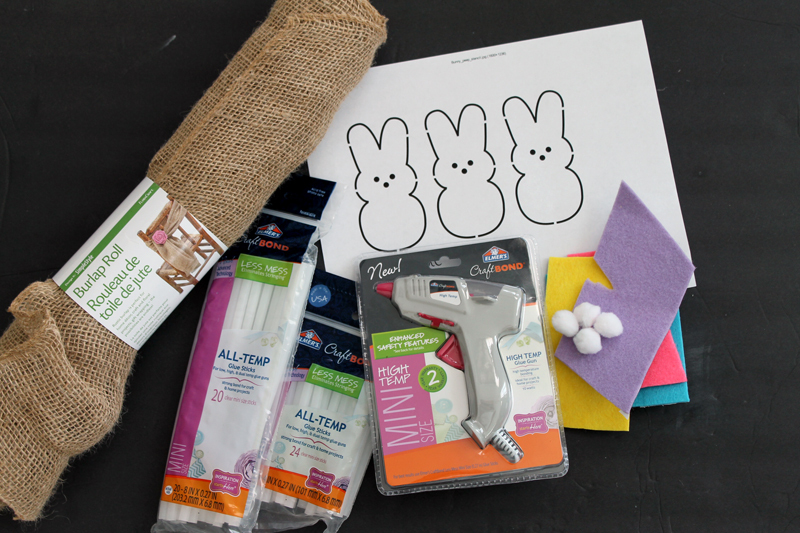 Grab the supplies to make your own burlap table runner for Easter and enjoy this in your home! These little guys are adorable! This would be a great project to make with the grand kids . Aww this is sweet! I have some burlap sitting upstairs in my stash calling to me ….. So adorable! 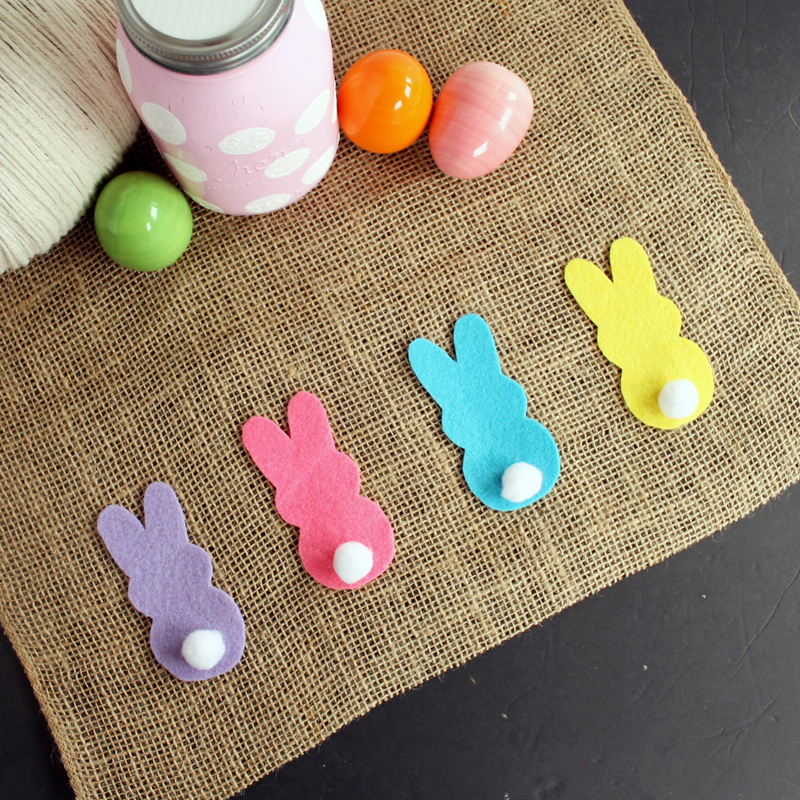 Bunnies are the cutest item to decorate with for easter! Cute and simple – the best combination! Visiting from Two Uses Tuesday. If you have time, come and share this post over at the Really Crafty link party that is live right now! (http://keepingitrreal.blogspot.com.es/2016/03/the-really-crafty-link-party-9.html). Super cute – love the cottontails! Your burlap runner is absolutely ADORABLE! Pinning! Thank you for sharing at The Wonderful Wednesday Blog Hop! Your table runner is so cute! Thanks for sharing on Work it Wednesday! 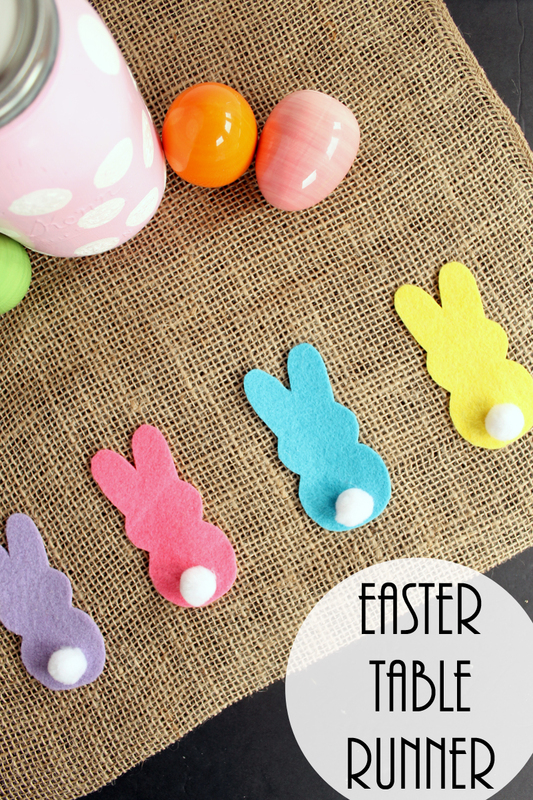 This is a great idea for Easter! Thanks for sharing. Visiting from Creative Ways Link Party. Super cute! I love it! Came by from the Weekend Retreat Party. Adorable! I love the little cotton tails. Pinned. This is such a pretty table runner! The bunnies are so cute! Thanks so much for sharing at Submarine Sunday!!! This is so cute, and I bet my boys would love to help me make it! I just got a coupon from Joann, too…Thanks for sharing! 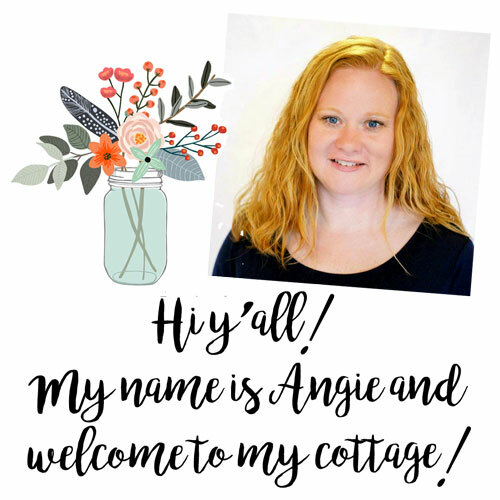 I love this idea Angie! It turned out so cute. Thanks for linking up to The Creative Exchange. We will be featuring your project this week. So cute and so easy1 You did a great job! Angie, I love your cute easter runner!! I picked you as my rock star at our Creativity Unleashed party, come by and vote and tell your friends!! Hugs!